Almost every attempt to kick out drug dealers, criminals and troublemakers from public housing fails, with the state tenancy tribunal rejecting more than three out of every four cases. Of 418 applications made by the state government, only 96 cases, or 23 per cent, were successful, the most recent figures from the Consumer, Trader and Tenancy Tribunal to September last year show. The cases illustrate the lengthy and troublesome hoops the Housing Department must negotiate to evict wrongdoers from public housing, which has a waiting list of 55,000 applicants. In one case, a woman found with $15,000 of cannabis inside her unit and 25kg in her car was allowed to stay as a condition of her court-ordered rehabilitation. The department appealed that decision in the CTTT and was successful, however the matter is now back before the Court of Appeal. Another case involving the attempted eviction of a man whose vicious dog attacked a Housing officer was lost because the tribunal found the dog was “protecting its territory” and the client service officer had “contributed to the injuries sustained”. The District Court later overturned the judgment on appeal and the case is set for hearing next month. 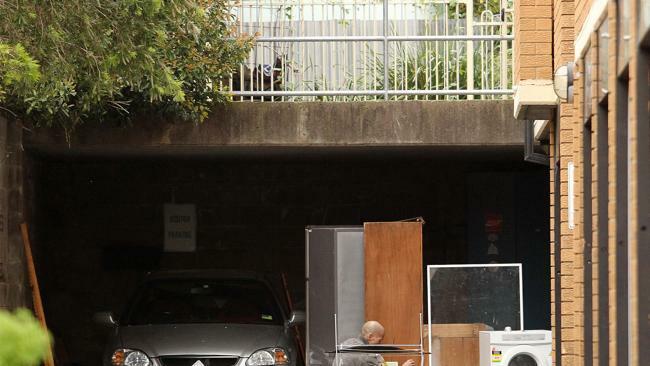 Earlier this month, police, fire crews and ambulance officers were called to a housing commission block on George St, Marrickville, in Sydney’s inner west, after a suspected clandestine drug laboratory explosion. Police allegedly found five satchels of the drug ice and more than $3000 cash at the premises. Although the fire is believed to have been caused by a gas cylinder, heating ovens, electricity and water connections were discovered, suggesting drugs were being made there. The department is now waiting on formal police evidence before it seeks an urgent hearing in the CTTT on the grounds of “illegal use of the premises” and “damage to the property” to evict the 50-year-old male tenant. The investigation into the blaze remains ongoing. Neighbours living in the area said officers raided the property six months earlier, targeting the same garage. Police were constantly being called to the property, neighbours said. “They are problematic neighbours,” said a person living in the same street, who asked not to be identified. Tenants living in private rental properties were more likely to be removed if they breached their tenancy agreement, with owners successfully evicting troublemakers 35 per cent of the time. A recent auditor-general’s report of public housing in NSW found some people are waiting more than 10 years to get access to a property. Family and Community Services Minister Pru Goward said the department would continue fighting in the CTTT to kick out wayward tenants living in subsidised housing.